Born in London, John Godolphin Bennett was the eldest of three children. A brilliant, mercurial man, with a talent for languages, he grew up speaking English and Italian; as an adult, he learned German, Turkish, Tibetan, Sanskrit, and Pali. The Eastern languages he had learned well enough to read the religious literature in the original language.1 As a scientist and administrator Bennett was closely connected with the British coal industry for many years. He served in the British military during and after World War I, first in signals and after the war in Intelligence. With an enormous capacity for work, several times he worked himself to exhaustion and serious illness. Married three times, he was the father of a girl by his first wife and two boys and two girls by his third wife. The two boys were fathered with Elizabeth Mayall, later his third wife, while he was still married to his second wife, Winifred (Polly) Beaumont.3 Bennett died Friday, December 13, 1974. The next time he met Gurdjieff was at the Prieure in August 1923. Again he refused to join a group saying he had debts to pay. Gurdjieff offered to pay his debts and made allusions to possible experiences of higher orders. Bennett continued to refuse, and left, saying he would return when he had paid his debts. Twenty-five years later, in 1948, on Madame Ouspensky's advice, Bennett found Gurdjieff in Paris. And this time he stayed with him until Gurdjieff's death in October 1949. The foreword to the latest edition of the revised Witness summarizes Bennett's life. "In his spiritual life, JGB seems to have moved from one teacher to another: Gurdjieff, Ouspensky, Madame Ouspensky, Gurdjieff again, Mohammad 'Pak' Subuh, the Shivapuri Baba..."8 However, the end result was that each time he thought he was coming to something, he determined that his path was different than the one he was on; he trusted in himself and so never moved beyond himself. 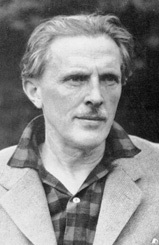 Bennett authored many books and articles both professional and relating to the spiritual question, including Witness; Gurdjieff: Making a New World; The Dramatic Universe; A Spiritual Psychology; Idiots in Paris: Diaries of J. G. Bennett and Elizabeth Bennett, 1949; and Enneagram Studies. 1. John G. Bennett, Witness: The Story of a Search, 2nd ed. (Santa Fe: Bennett Books, 2007), 78. 2. William Patrick Patterson, Struggle of the Magicians (Fairfax, CA: Arete Communications, 1996), 238. 8. George Bennett and Ben Bennett, foreword to Witness, xiv. 10. Robert de Ropp, Warrior's Way (London: George Allen & Unwin, 1980), 327–28. 11. Patterson, Struggle, 243, f.n. 14. 12. Elizabeth Bennett, Idiots in Paris (York Beach, ME: Samuel Weiser, 1991), xi. 13. George Bennett and Ben Bennett, xv.